The highly competitive teen girls competitions in the Mid-Atlantic Region of the Irish Dance Teachers Association of North America command the attention of the world as past and current World and National Champions defend their titles. This year's Oireachtas was no different, with defending champions Fiona Dargan, Ann Paige Turilli and Blair Croce winning their competitions. 2011 Girls under 13 Mid-Atlantic Regional Irish Dancing Champion Melanie Valdes from Petri re-claimed the championship lost in 2010 to Sydney Klyczek from Rince na Tiarna. Valdes and second place Aine Claire Sheehan from McDade Cara won the 2011 American National Irish Dancing Championship for their divisions. Fiona Dargan, who is the standing Mid-Atlantic Regional Irish Dancing Champion since 2005, now shares four regional trophies as well as the Girls under 11 World Champion cup with her sister Kevinah Dargan. Both girls dance with Rince na Tiarna. The Dargan sisters have also enjoyed success together at the national level; most recently, both Fiona and Kevinah won the North American National Irish Dancing Championships for their age groups in 2011. 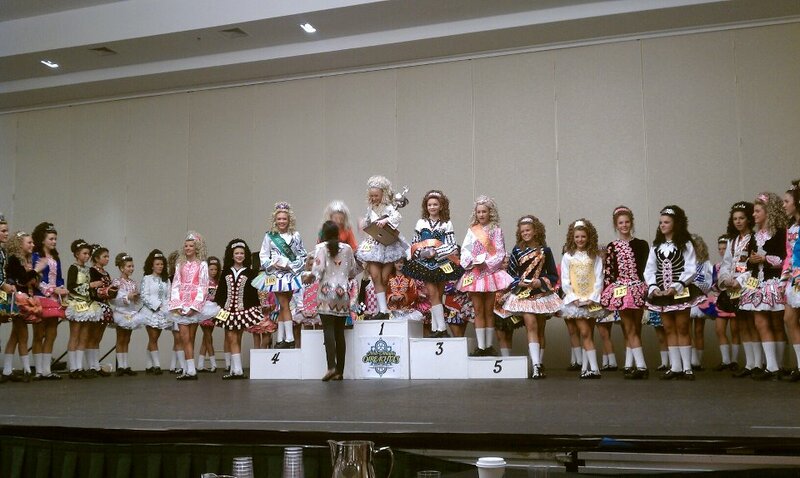 Champion Fiona Dargan - Rince na Tiarna DEFENDING CHAMPION! Champion Ann Paige Turilli - Inishfree DEFENDING CHAMPION! Champion Blair Croce - Early McLoughlin DEFENDING CHAMPION! Feis America magazine is dedicated exclusively to North American Irish dancing and celebrates its dancers, teachers, performers and families bi-monthly with an acclaimed editorial platform and rich photojournalism. Subscribe today as a holiday gift for your favorite Irish dancer, teacher or fan!